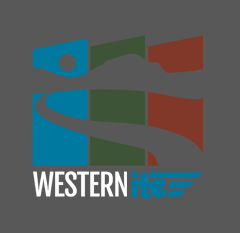 As President of the Western District I pledge to dedicate the necessary time to continually make ITE the professional organization of choice for existing and new members. I commit to dedicate my efforts to the betterment and growth of the Western District at all levels. I’ve been a member of ITE for 22 years and thank you for the privilege to serve this past year as your Vice-President for the District. Prior to serving at the District level, I served at the local level including: Newsletter Chair, Student Scholarship Chair, Student Chapter Liaison, Secretary, Treasurer, Vice-President, President and Past President of the San Diego Section and as Student Endowment Fund Liaison. I have enjoyed serving ITE and have actively participated with the local sections where my employment assignments have taken me including the following Sections: Salt Lake City, Utah; Riverside/San Bernardino, Southern California and San Diego Sections. I am currently an Engineering Manager with Parsons with a base office in San Diego, CA supporting five Southern California offices. I am honored to be nominated to continue serving the Western District and would appreciate your vote. As Western District Vice President, I pledge my time and effort to maintaining the excellent service, programs, and outreach Western District members have come to expect of our leaders. I also pledge to continue the innovation and progressive nature that has been the hallmark of our District. During these challenging times, fiscal responsibility should be a primary consideration of the District. District funds should be used efficiently and prudently, while maximizing relevancy to members. The District should provide training, services and information exchange that are useful to the average member while keeping costs affordable. Efficient and regular communication through appropriate and accessible mediums can assist in this effort. Extra communication effort should be focused on outreach to students, younger members, and agency members to ensure connectedness and continuity within the Institute. I have been a member of ITE since my undergraduate years at Montana State University where I served as the student chapter president in 2000/2001. Shortly after arriving in Nevada, I was elected to the Nevada Chapter Board, and following my service in Nevada, I was elected to the Intermountain Section Board. The geography and structure of our section is unique to the District, which affords extra years of ITE experience as well as experience dealing with both local and region-wide ITE issues. In addition to serving as an officer, I was appointed to be the District 6 Student and Faculty Initiatives Chair in 2005, which has allowed me to continue my contact with students and young professionals. During my service with ITE, I have had the good fortune to attend ITE conferences at the Section, District and International levels and to learn firsthand how positive and beneficial those experiences can be for all members. I am currently employed with the City of Henderson, a progressive and customer-service oriented agency. My primary duties include traffic engineering studies, asset management, safe routes to school, and citizen interaction. Prior to joining the City I worked for Orth-Rodgers & Associates performing a variety of duties from travel demand forecasting to traffic signal design. My employer fully supports and encourages ITE participation. I am honored to be selected as a candidate for Western District Vice President. ITE has meant much to me both professionally and personally, and I value every opportunity to give back to the organization. I am honored to have been selected as a candidate for Secretary-Treasurer of Western District. It provides me with the opportunity to continue serving my profession and working with people I respect and enjoy through ITE. As your representative at the district level, I bring over 27 years of professional experience obtained while serving in many different elected or appointed positions within ITE Southern California and the Western District. I believe that ITE is the best professional organization available to planners and engineers. I will work to represent our district membership and improve the organization. In the past, I have served in many roles within ITE. On the local level, I have worked my way through the Southern California section from Technical Chairman to President. I served as the Technical Co-Chair for the 2002 Annual Meeting in Palm Desert. Most recently, my experience as WesternITE Managing Editor provides me with knowledge of the district and how it functions that I will use to guide my actions as Secretary-Treasurer. I have attended most of the Western District Annual Meetings between 1991 and present and have acted as a Paper presenter/Speaker/Moderator for Western District Annual Meetings in 1994, 1996, 1997, 1998, 2000, and 2004. Our district is a great organization. I want to continue the strong initiatives that have been supported by previous officers. In addition to supporting ITE’s Mega Issues, I have five primary goals in the role as Secretary-Treasurer. With the fiscal constraints that challenge our industry, keeping our eye on long term goals is very important. As Secretary-Treasurer, my goal will be to think and act in the best long term interests of the ITE Western District. I look forward to your support in these efforts. Thank you for the honor of being nominated as a candidate. I believe my work experience in the public, private, and educational sectors, my business management expertise, and my years of service to ITE provide me with excellent qualifications to serve as the Western District Secretary-Treasurer. Registered Traffic Engineers of America, founder of an organization dedicated to preserving and promoting state licensing of traffic engineers. City of Los Angeles Department of Transportation, Associate Transportation Engineer, working in traffic investigations, impact studies, and traffic signal timing. Served at the start-up of the City’s first automated traffic control system for the 1984 Summer Olympics. Katz, Okitsu & Associates, now known as KOA Corporation, co-founder and past president of a firm that has become one of the largest transportation engineering firms in Southern California, with 100 employees. Currently serving as Managing Director of Crain & Associates, a subsidiary of KOA Corporation, providing expertise in site planning, traffic and parking studies, signal timing, rail grade crossing analysis, signal and lighting design, bikeway design, and the implementation of traffic control devices. UCLA, Civil & Environmental Engineering Dept., lecturer. 30 years of active service in ITE, including 12 years at the District level. Proven experience in business management. Devoted to educating university students in the field of transportation engineering. Dedicated to promoting registration of traffic engineers. Motivated to keep Western District as the best in ITE. I am honored to be a candidate for ITE Western District office, and welcome the opportunity to continue serving the Institute. In the nearly 20 years I’ve been a member, I’ve been privileged to benefit from ITE’s programs, publications, and meetings. In the past eight years, I’ve held ITE leadership positions that have helped prepare me for these roles, and been an active participant in District board meetings. Being both a servant and a beneficiary of the ITE Western District has given me a strong sense of what the institute needs to do to be successful. Encourage More Engineering Students to Join ITE. It is crucial that the Western District leadership team maintain and build on the District’s recent success in fostering the growth of student participation in networking and professional development activities like the annual meeting. In addition to promoting the growth of the District’s Student Endowment Fund, I would reach beyond transportation and civil engineering programs to encourage more college students to consider careers in transportation planning, engineering, and operations. Engage More Members with Continuing Education Offerings. Web seminar offerings by ITE International should be offered to all ITE members, not just those receiving the ITE Journal. Local section members who are not international members also stand to benefit from these courses, and meetings at all levels should be expanded to include more continuing education offerings. Expand Recognition Programs. Awards are not the reason that we transportation professionals get out of bed in the morning, but there are far too many great projects and individual contributions that go unrecognized. Please don’t hesitate to contact me with any questions or suggestions (natesonit@gmail.com), and thanks for being a member of ITE. Remember to Vote! Jennifer Rosales is a Principal Engineer and Senior Professional Associate at PB with extensive experience in traffic engineering and transportation planning. Jennifer is PB’s Coordinator of the Traffic Engineering Practice Area Network. She developed a comprehensive practitioner’s guidebook called Road Diet Handbook: Setting Trends for Livable Streets. Jennifer Rosales received the 2007 Past Presidents’ Award for Merit in Transportation Engineering from ITE. She was named to the “2007 Trendsetters List” of Public Works magazine. Mentor and train younger members and students to meet future transportation challenges. Support student initiatives programs at District, Section and Chapter levels. Attract members to District meetings by keeping annual meetings affordable and expanding technical programs and training to the membership. Expand use of information technology to share information and tools. Significant progress has been completed in these areas with commitment of District volunteers. The mentoring program has grown, and young members and their employers recognized. The Endowment Fund for Student Initiatives is over $200,000. The District expanded the use of the web to provide on-line registration for Annual Meetings, on-line member surveys, Facebook page, electronic voting, and electronic WesternITE. Attract emerging professionals to ITE meetings and activities. Expand and enhance professional development for our members through continued expansion of accessible and cost-effective training through webinars. Continue to support successful student initiatives and research opportunities. Keep annual meetings affordable and expand technical programs and training. Expand use of information technology including e-learning and e-publishing opportunities. I am honored to be nominated as a candidate for International Director. It is my privilege to serve the District, and I welcome your comments and ideas: rosales@pbworld.com or 503-478-2347.